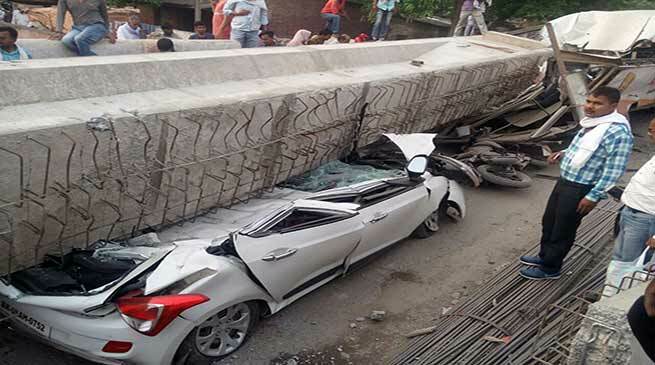 At least 12 people were killed after a portion of an under-construction flyover collapsed in Varanasi’s cantonment area on Tuesday. According to police, several people were feared buried under it. Some vehicles were also crushed in the incident. Chief Minister Yogi Adityanath has expressed grief over the killing of people in the accident. He has directed his deputy to visit the accident site. The CM has expressed grief and have directed the administration to speed up rescue operation,” said Health Minister Siddhartha Nath Singh. Prime Minister Narendra Modi also expressed his condolence over the death of people in Varanasi flyover collapse. “Extremely saddened by the loss of lives due to the collapse of an under-construction flyover in Varanasi. I pray that the injured recover soon. Spoke to officials and asked them to ensure all possible support to those affected,” tweeted Modi.